SFV-CAMFT - "Imago Relationship Theory & Therapy"
"Imago Relationship Theory & Therapy"
Drs. McCann will lead the group through a demonstration of Imago Relationship Theory and Therapy by working with a real live couple to give a practical exhibition of how Imago works to transform relationships, and lives -- and, when the couple is truly hurting, provide some important and immediate relief. This presentation is suitable for both the novice therapist with no experience of Imago, and the experienced couples therapist, who may have been introduced to or tried out some of the Imago processes and dialogues. · Become aware that conflict in relationship is growth trying to happen and notice how the worst of conflict can lead to re-connection and the relationship of one's dreams. 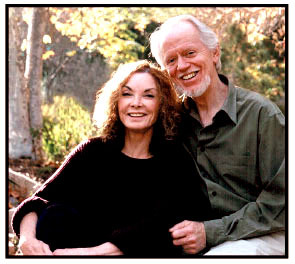 Dr. Janis and Dr. David McCann, married for forty years, have been in professional practice for over thirty, and have specialized as relational therapists for over twenty years. They became involved with Imago Therapy when they attended the world-renown workshop, Getting the Love You Want, and experienced the Imago dialogues and processes as not only relationship transforming, but life transforming as well. After training at Harville Hendrix's International Imago Institute, they became Certified Imago Therapists and Couples Workshop presenters, traveling throughout the Southwest and the Central Coast of California to present the workshop for couples, as well as the workshop for individuals, Keeping the Love You Find, and more recently, the workshop for pre-marital and early-married couples, Start Right, Stay Connected. Janis has doctorates in Social-Clinical Psychology and Psychoanalytic Child Psychotherapy, as well as a Master’s in Mythological Studies from the Pacifica Graduate Institute. David’s first Ph.D. and Master’s degree were in Comparative Literature and Germanic Languages; he taught Humanities at UCLA and other colleges for twenty years, before becoming a Research Psychoanalyst, receiving a doctorate in Psychoanalytic Child Psychotherapy at the Reiss-Davis Child Study Center in LA. The McCanns have four grown daughters and five grandchildren. One of their most beloved pastimes is traveling to exotic places around the world with a couple of grandchildren in tow.